Brett Eldredge live on stage! 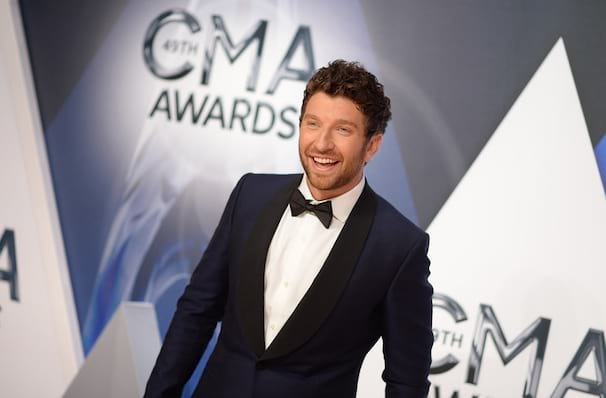 Country singer and songwriter Brett Eldredge is rising rapidly in the country scene, and though all eyes are on him, Brett isn't cracking under the pressure but thriving instead. This year sees Eldredge hitting the road and bringing his feel-good music to a town near you! Like all Eldredge performances, expect to see and feel all the energy he projects out to his fans, whilst you tap your feet to his infectious beat. The self-titled fourth album by Eldredge was his most recent release in 2017, and includes the lead single 'Somethin' I'm Good At' and 'The Long Way', which peaked at No.3 on the country radio. Eldredge has reached many milestones in his career, including co-writing Gary Allan's track 'I Think I've Had Enough', opening Taylor Swift's Red Tour and in 2016, he was chosen to be one of the 30 artists to perform on 'Forever Country', a track which celebrated 50 years of the CMA Awards by mashing-up tracks 'I Will Always Love You', 'Take Me Home, Country Roads' and 'On The Road Again'. Sound good to you? 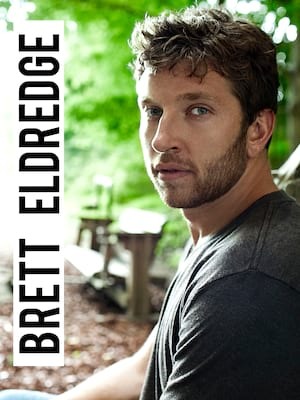 Share this page on social media and let your friends know about Brett Eldredge at Dailys Place Amphitheater. Please note: The term Dailys Place Amphitheater and/or Brett Eldredge as well as all associated graphics, logos, and/or other trademarks, tradenames or copyrights are the property of the Dailys Place Amphitheater and/or Brett Eldredge and are used herein for factual descriptive purposes only. We are in no way associated with or authorized by the Dailys Place Amphitheater and/or Brett Eldredge and neither that entity nor any of its affiliates have licensed or endorsed us to sell tickets, goods and or services in conjunction with their events.